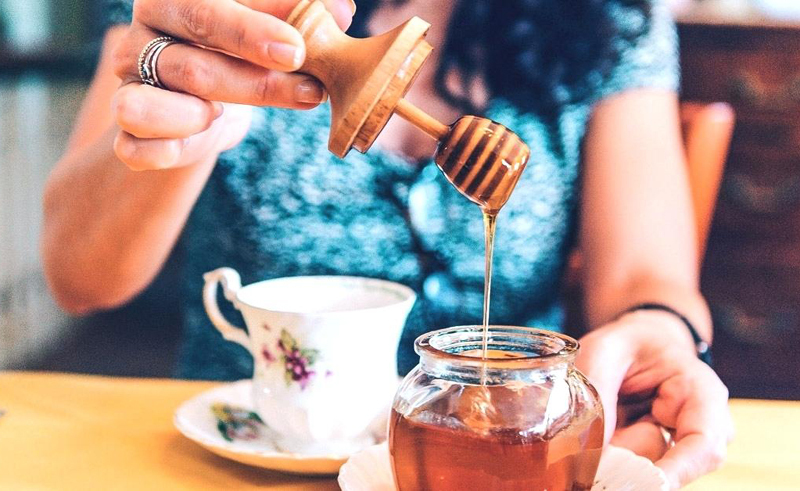 Know more about the Nutritional Quality of Honey! There are huge qualities of honey. Many tell that it has medicinal power over every disease. Let’s know about the components of honey. There is 25-37% glucose, 34-43% fructose, 0.5-3 % Sucrose, 5-12% maltose. All of these are sugar. Besides, there are amino acid, mineral salt and enzyme. There are 288 calories in 100 gm honey. The sugar in honey enters directly in blood and work immediately. It works as ready energy. Constipation can remove with half glass cold warm water mixed with one table spoon honey and lemon in empty belly every morning. Honey also works against ammonia. Because there are sufficient copper, manganese and iron in honey. It is also proved that honey gives remedy in infections. It is also pain killer and antibiotic. So many times honey is used to dress in surgery. Normal cold and cough and laryngitis also get remedy by honey. Pain in gum also reduces by gurgling with honey mixed water. Erosion of teeth also get remedy here. Honey also helps in digesting food. Honey reduces emitting acid in stomach and that’s why distaste, nausea and inflammation in chest get remedy by honey. Honey also increases body’s warmth in winter by increasing digestive heat. But honey can increase the limit of sugar in the blood of diabetic patients. So they should avoid drinking honey directly. Besides this honey has no influence on losing weight. The custom of giving honey in newcomer baby is also risky. Because they should not be given anything but mother’s milk. U.S. Daily News: Know more about the Nutritional Quality of Honey!